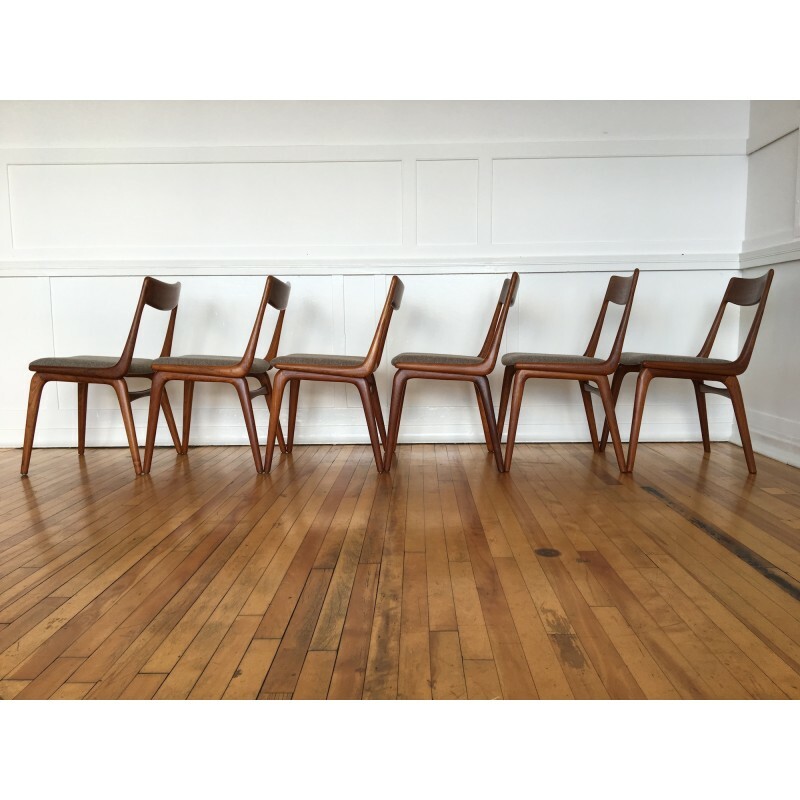 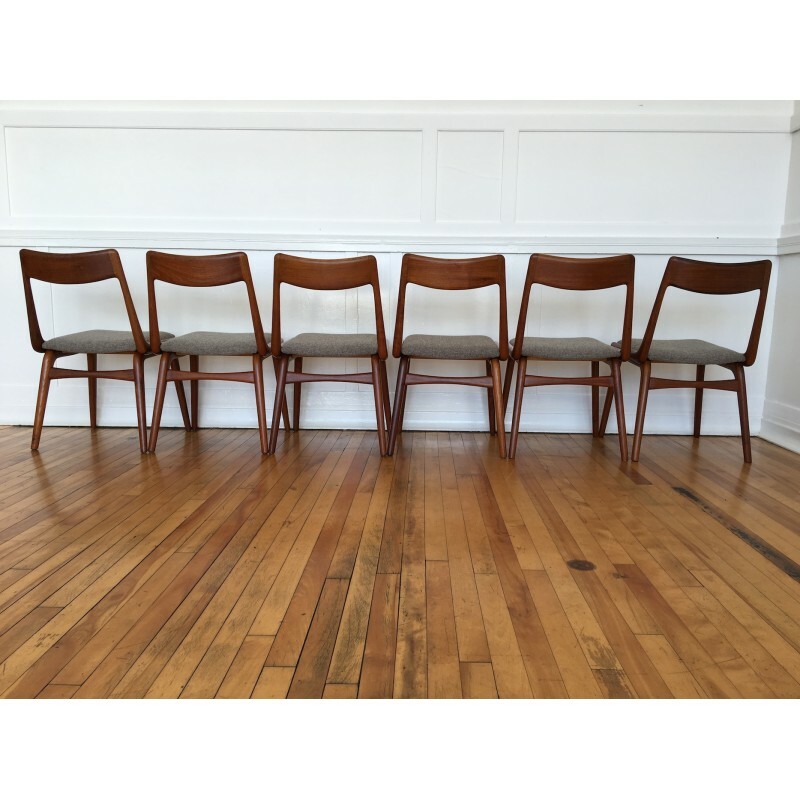 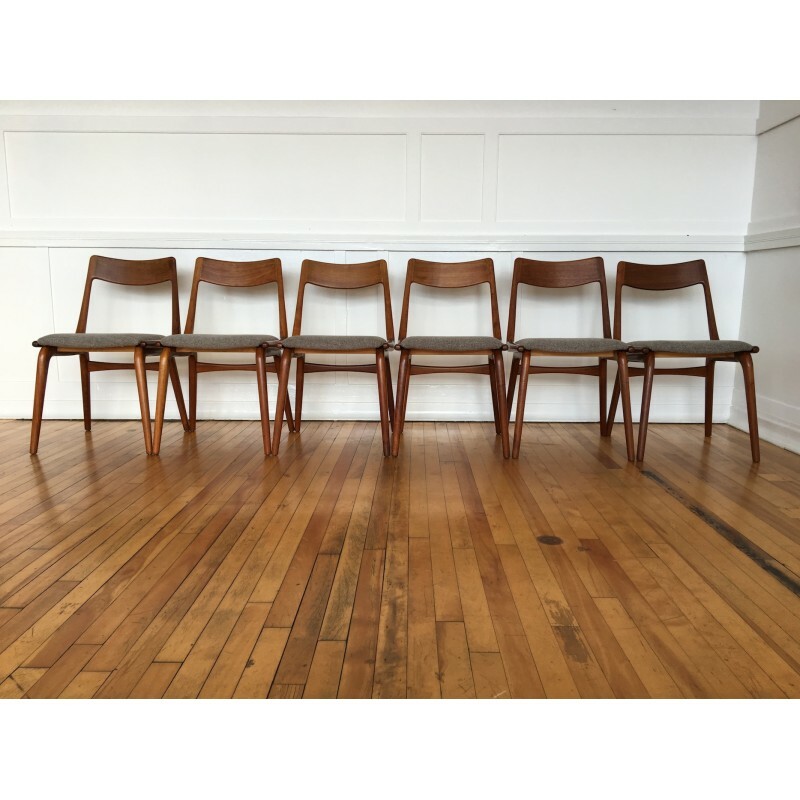 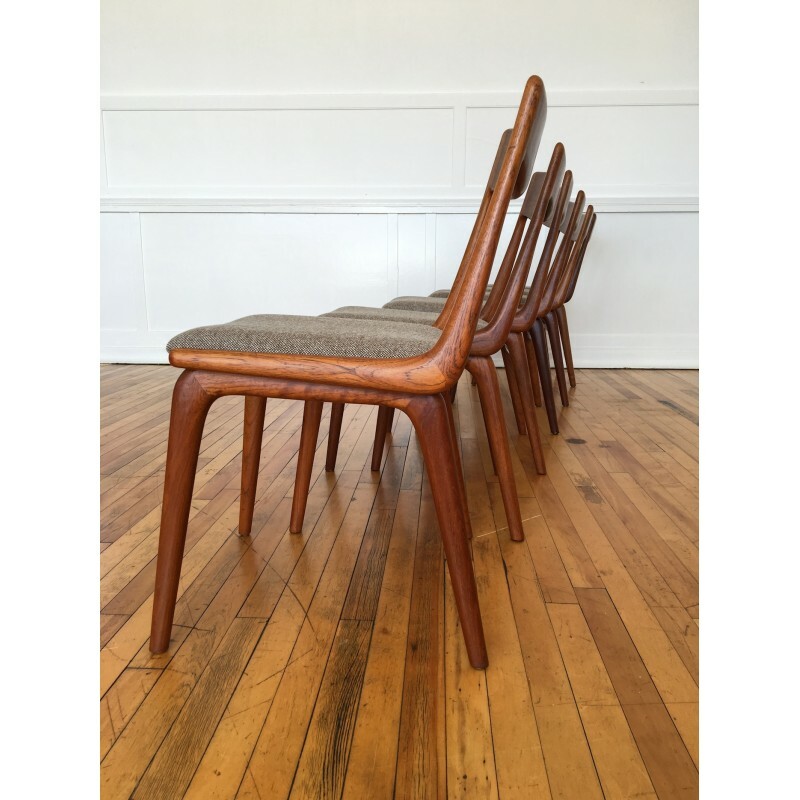 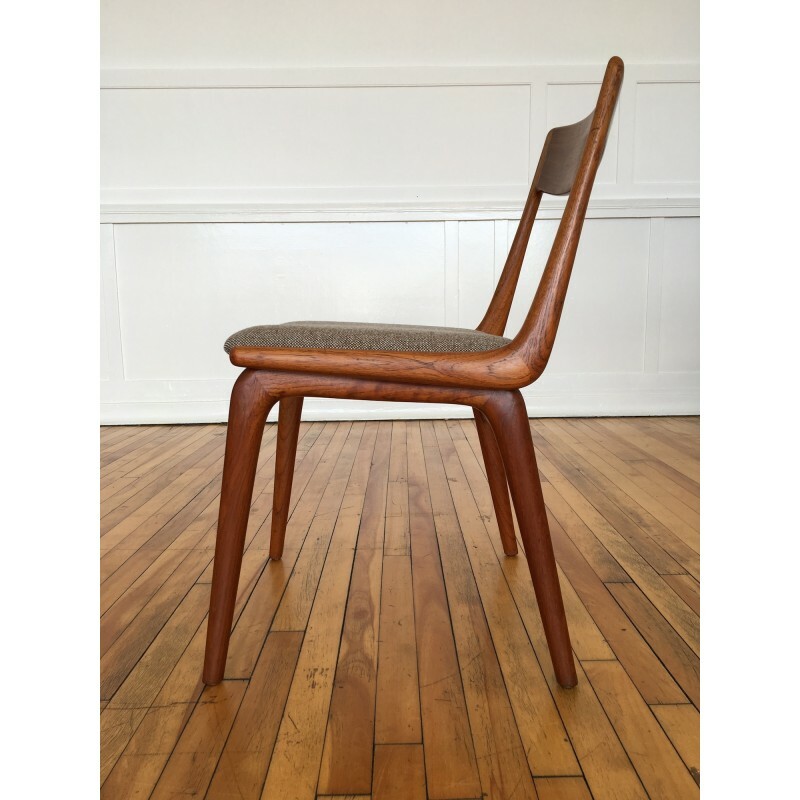 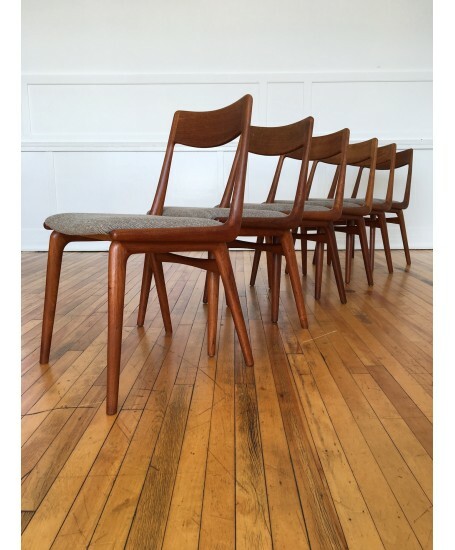 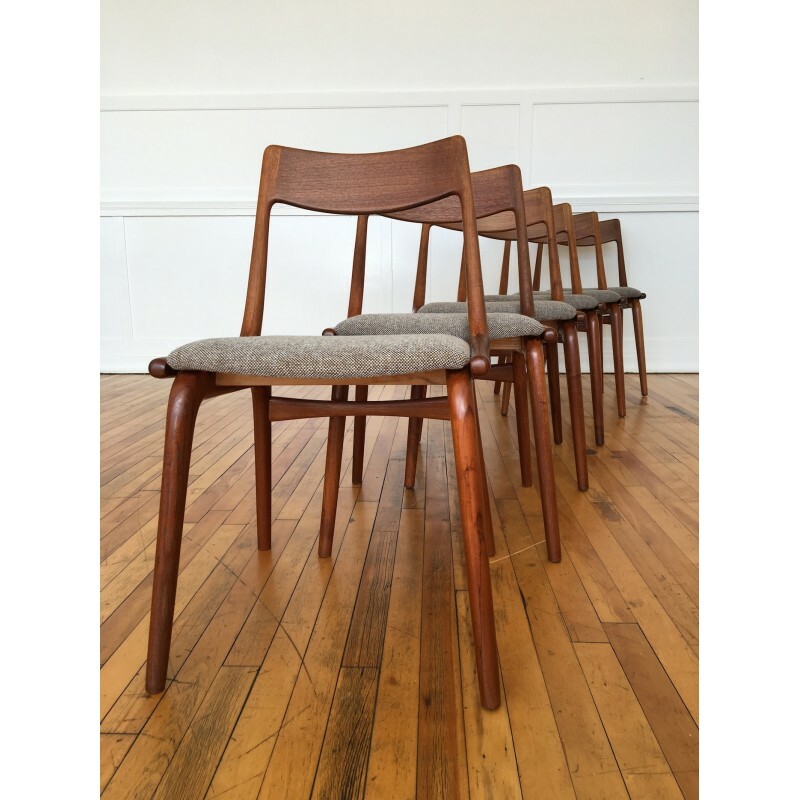 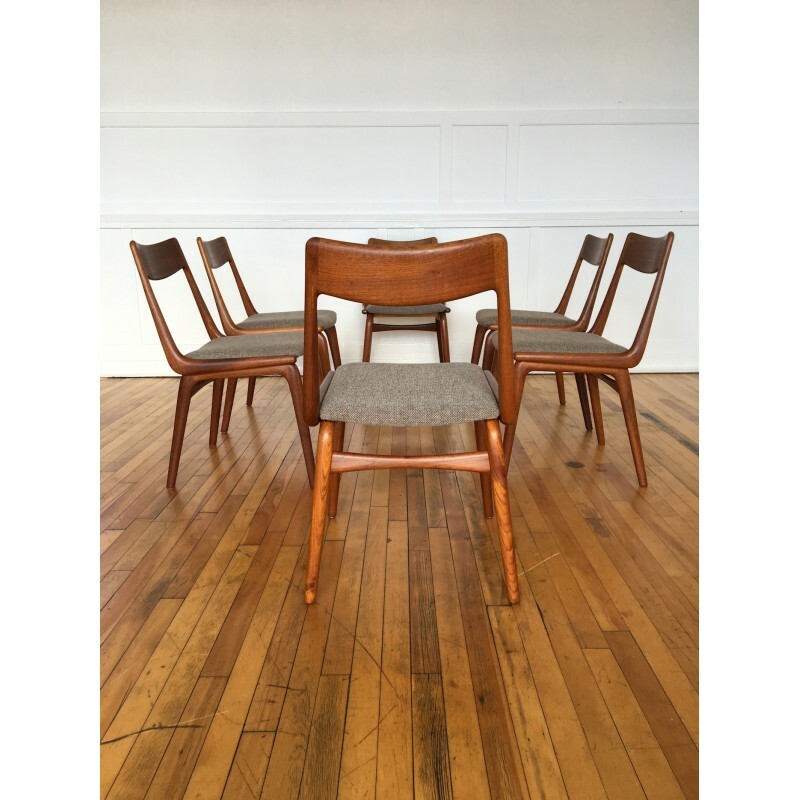 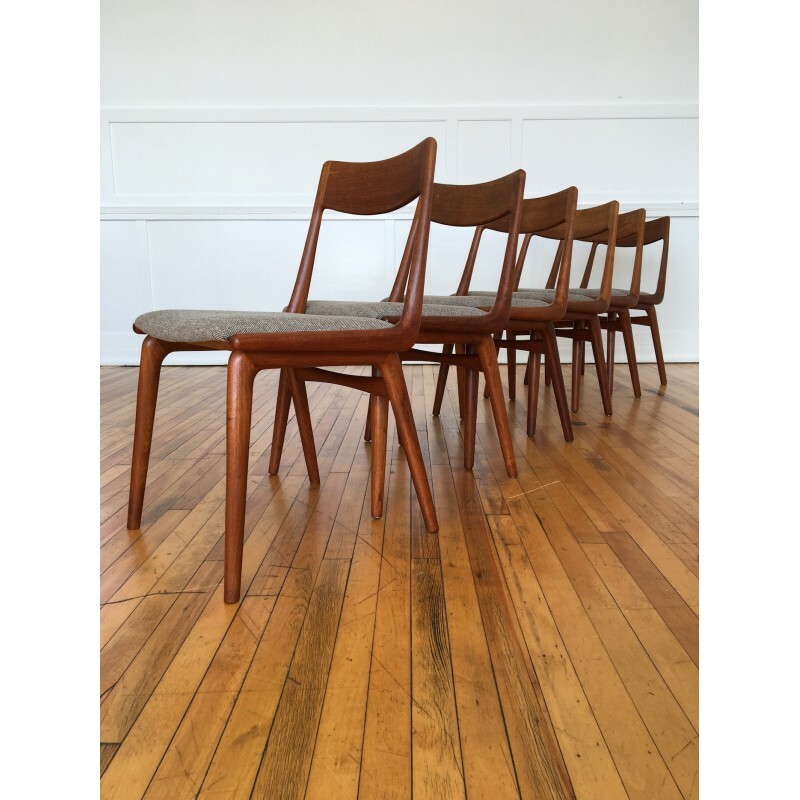 A stunning set of six boomerang dining chairs designed by Erik Christensen for Slagelse Mobelvaerk, circa 1960's. 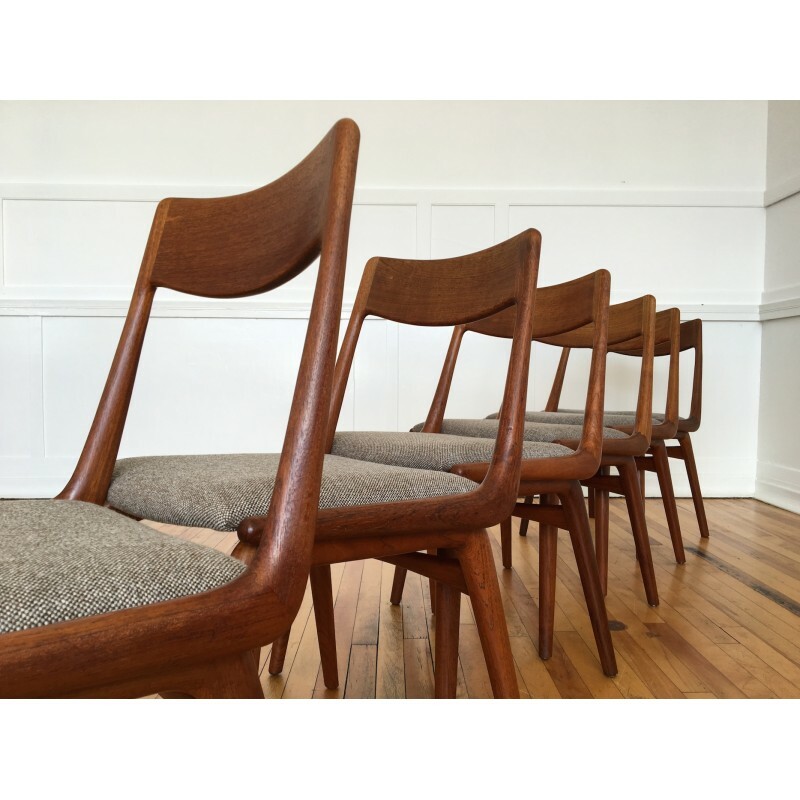 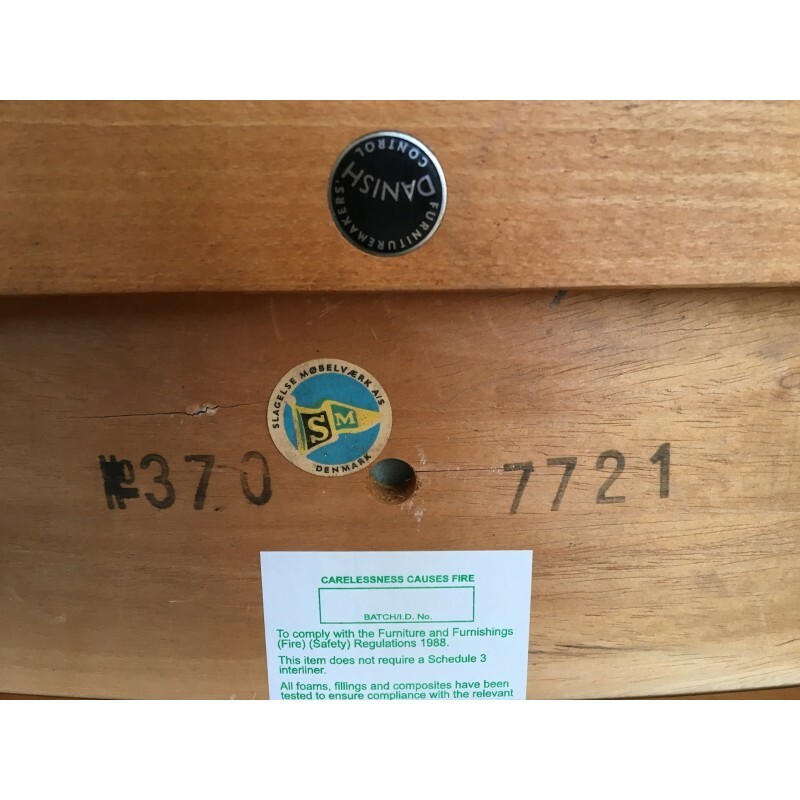 The chairs are made from solid teak and boast some of the most beautiful grains we've seen. 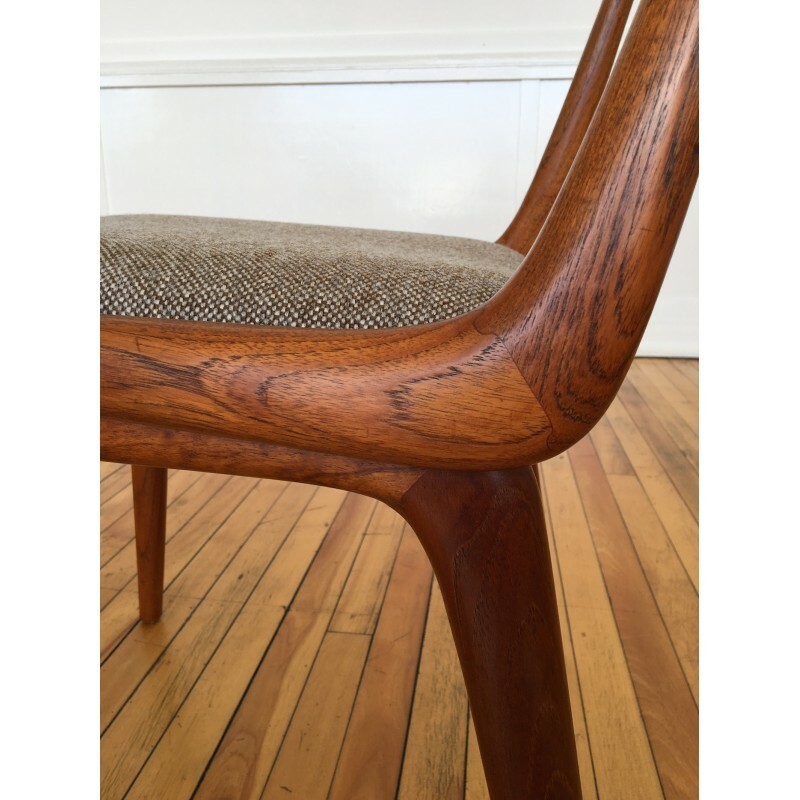 Having been carefully cleaned, oiled and waxed/polished, the frames now look quite sensational. 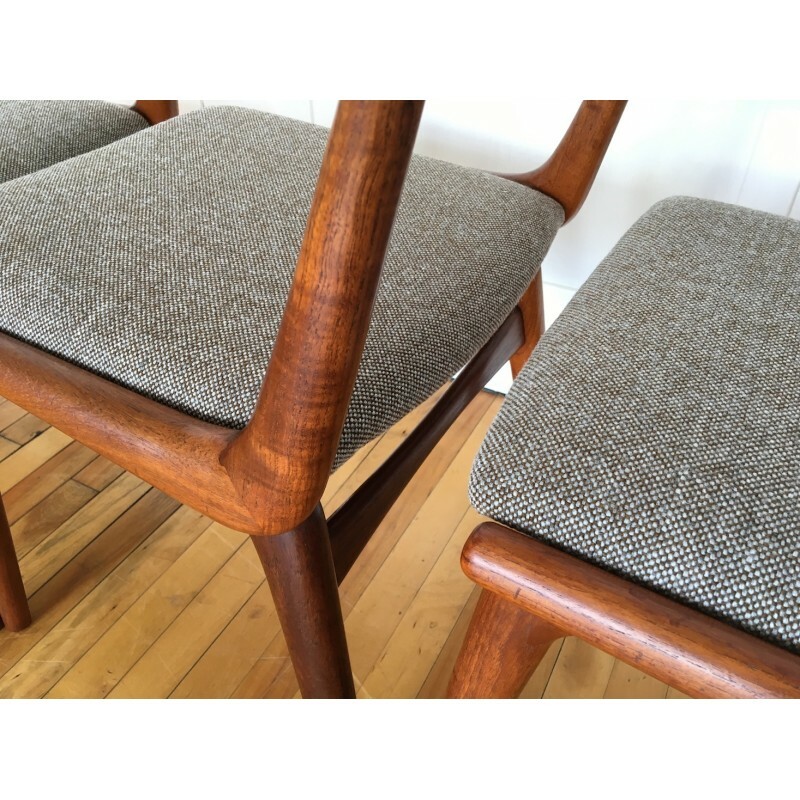 The seats have been fully re-upholstered and finished in a gorgeous wool from Kvadrat's Hallingdal range.